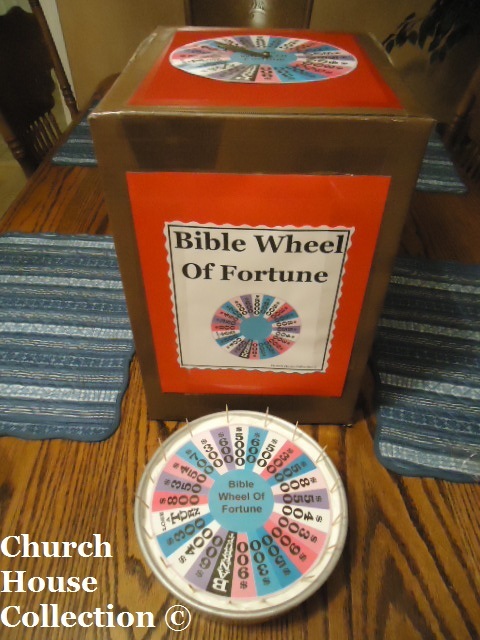 This picture is of the Bible Wheel of Fortune spinner game I made out of a cardboard box and my cake. Use spray paint to paint your small cardboard box. I just sprayed the front and top. I left the sides and the back of the cardboard box white. I let it dry for a little bit and then took it inside. I grabbed 2 pieces of red construction paper and taped it to the top and front of the box. 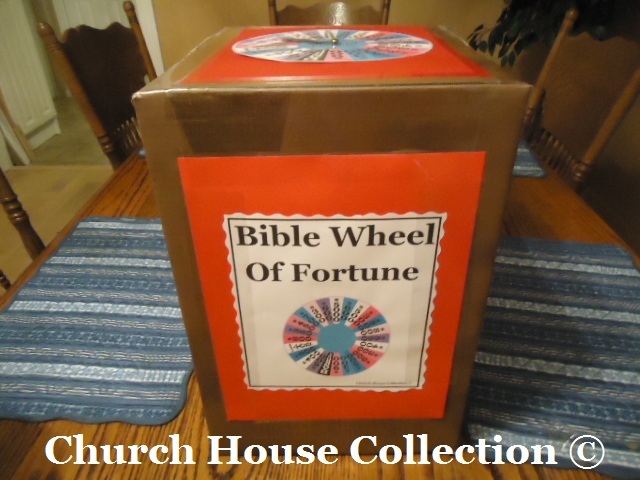 I printed out the Bible Wheel of Fortune template for the front of the box and used decorative scissors to cut around it. I taped that on top of the red construction paper on the front of the box. Then I printed out the wheel spinner and cut it out. I laminated the wheel and the arrow. I put a brad through the arrow, wheel and box. I just used a push pin to make my hole first and then pushed the brad through it. *If you are not able to laminate, then try gluing or taping the template to a round cutout piece of cardboard. You might want to make the spinner out of cardboard too if you go that route. Pick out several scriptures from the Bible and write them on note cards so that way you have them. They will represent the different rounds. 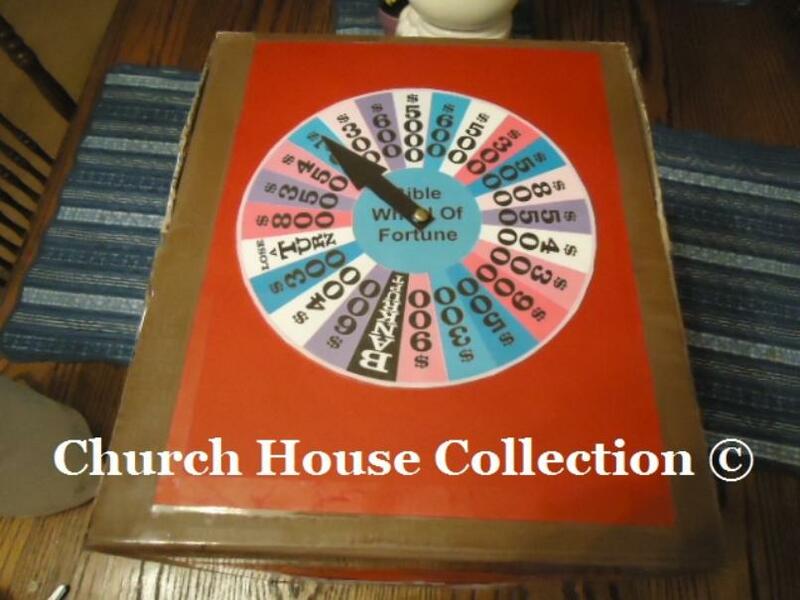 If you have a large white marker board just write your dashes on the board for the scripture. Split the kids into two teams. Then pick who will go first. 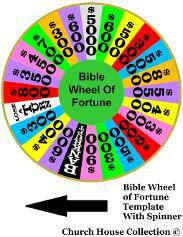 Have the child spin the spinner. If it lands on a number then let them guess a letter. If the letter is part of the puzzle then write it on board on top of the blank. Let's say the spinner landed on $500 and they guessed an M and there was 3 M's in the puzzle then they would get $15,000. If they guess a vowel then it will cost them $100 every time they want to use it. The team will continue to spin the wheel and guess the letters until they have missed one or solved the puzzle. When they missed one then it is the other teams turn. The game will continue on until the puzzle is solved. 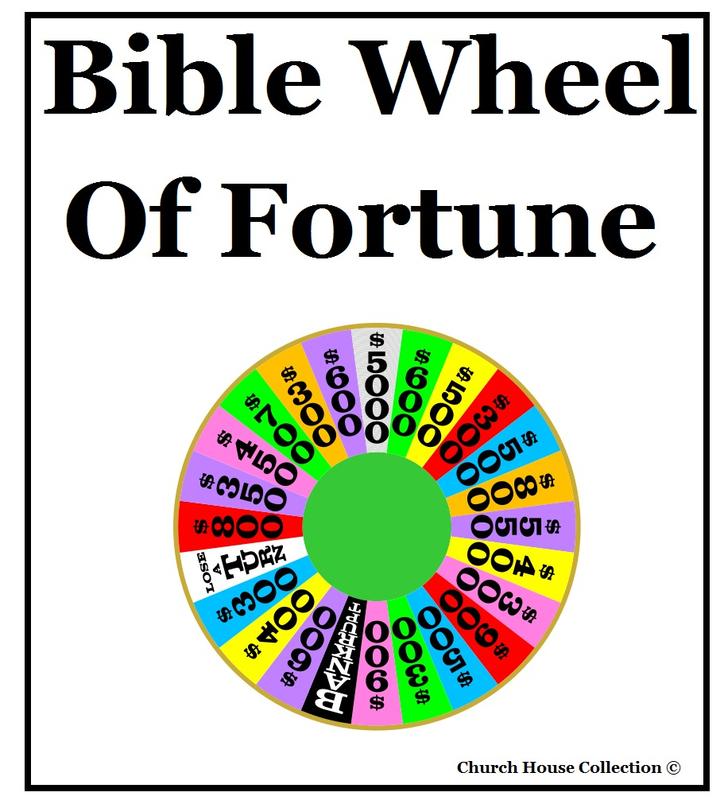 This is really good for kids to learn Bible verses or to review on lessons that you have previously taught. You could make a Bible Wheel of Fortune cake too!